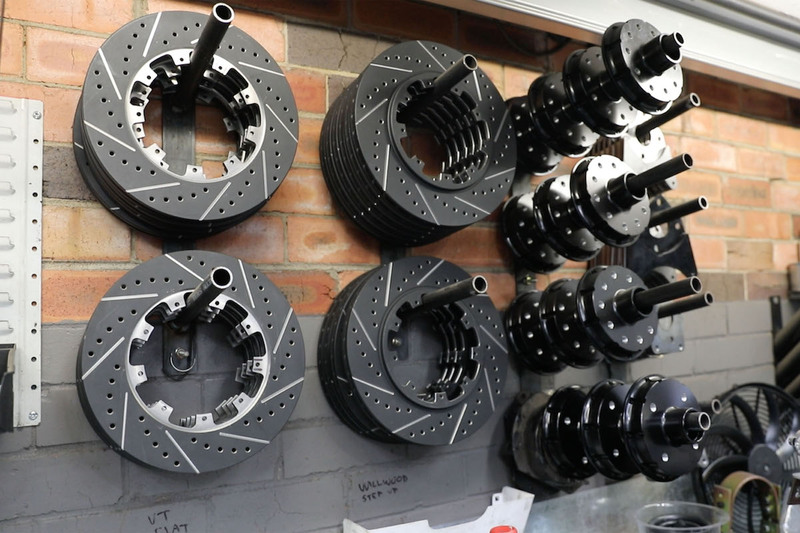 PAC Performance is a leading team in Australian Drag Racing and they are also renowned as rotary engine masters. 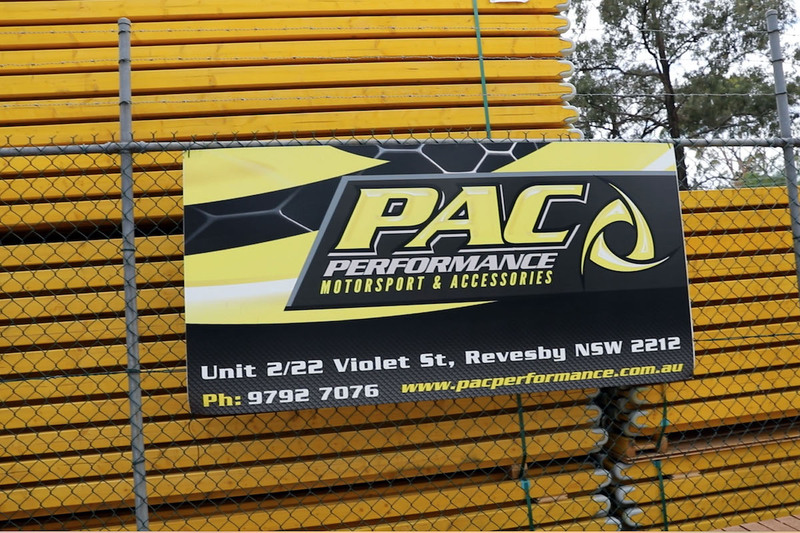 We received info that the PAC Performance team would participate in an event being held in mid-December 2017 at Sydney Dragway near Sydney, Australia and so an MZRacing correspondent decided to head down and check it out. In December, after a 10-hour flight from Tokyo, he got off the plane in mid-summer eastern Australia. 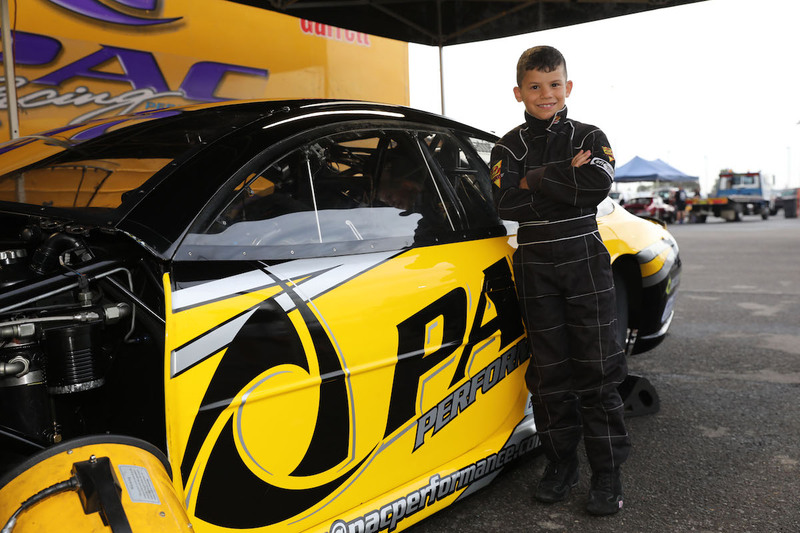 He couldn’t wait to see how an RE mounted drag racer would perform under these temperatures of between 25° to 31°C. 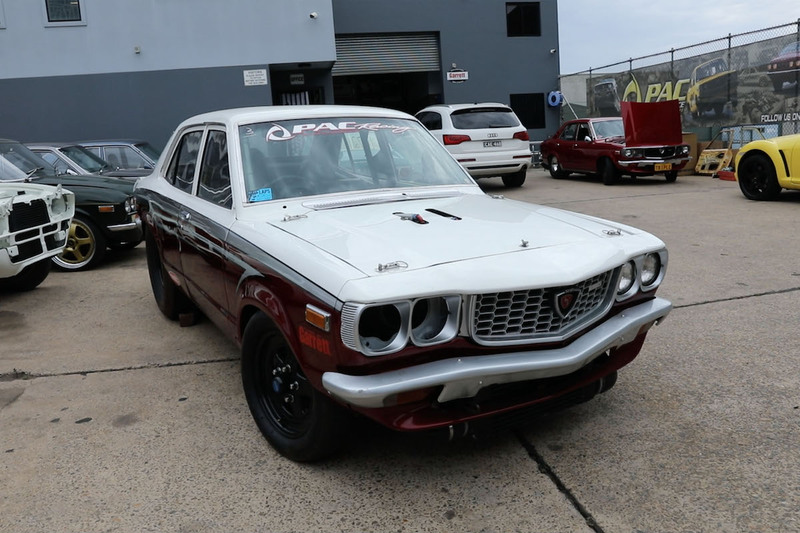 That being said, the aptly named “Full Throttle Friday” event wouldn’t begin until 6 PM and because he had plenty of time, after checking into his hotel in Sydney, he decided to visit the team’s home garage in Revesby, in Southern Sydney. 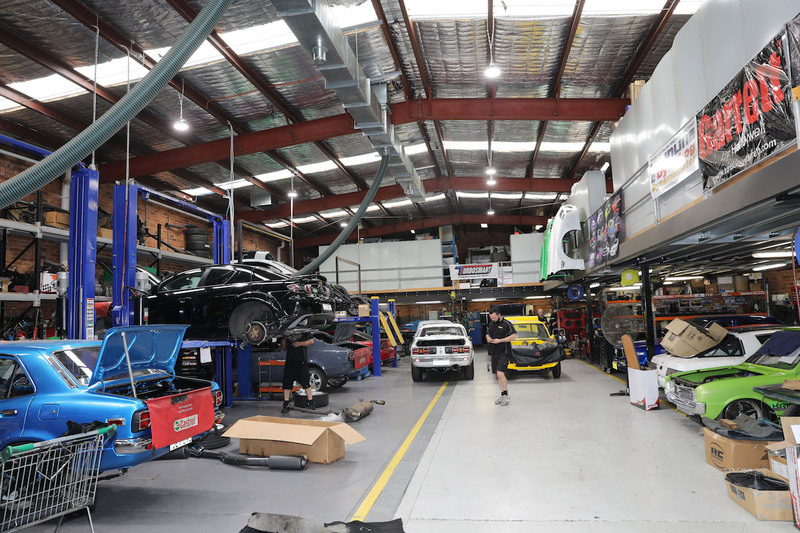 Being Friday, the Sydney CBD was crowded no matter where he went, but after driving for about 50 minutes, he found the garage. As the evening approached, the team moved on to the drag race way in the Eastern Creek area. Although the weather forecast predicted clear weather all day, rain began to fall at about 5:00pm and when the team’s transporter arrived at the race track the road surface was wet. 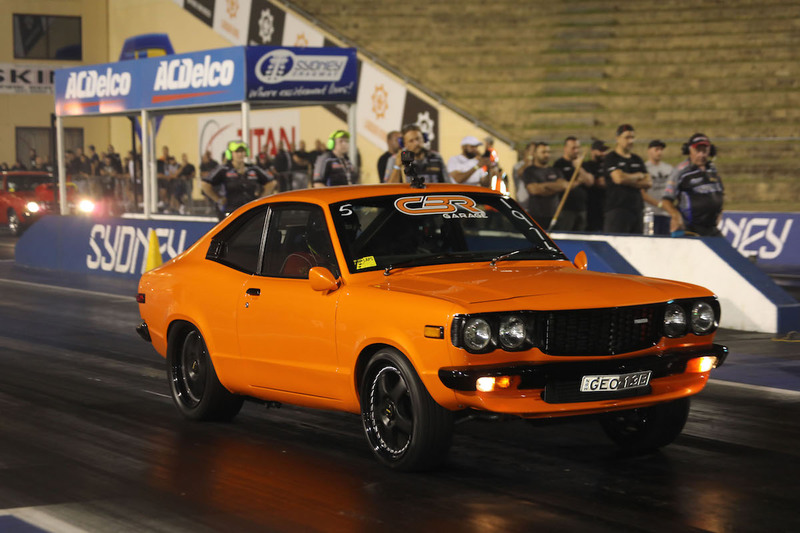 Due to the fact that drag races are a competition to see which car can complete the fastest 1/4 mile, the first rule of thumb that is enforced strictly is that both cars must be racing under the same conditions. For this reason a wet road surface is out of the question and so if the road surface is even a little wet, great care is taken to completely dry it with jet heaters and so on. On top of that soft tire rubber is laid onto the track to achieve an appropriate level of grip. Since this process is applied to the entire road surface, it was very much up in the air whether or not they would be able to run in this event. Although the rain ceased at about 7:00pm, the track preparations dragged on. 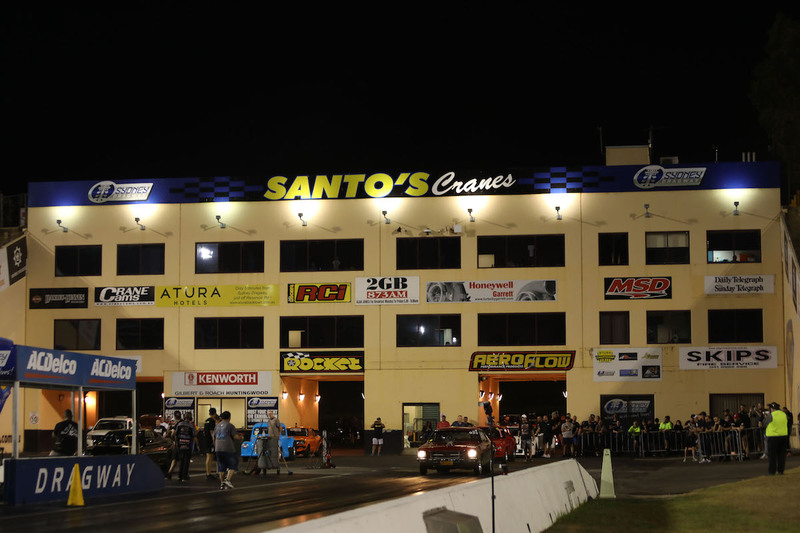 As 9:00pm approached and the conditions were finally set the drag racers began to gather at the paddock. The quintessential drag racers with their thin, small front wheels, ultra-long wheel bases and high mount wings were joined by drag bikes and sedan type drag machines. After finalizing preparations for their long-awaited run, the PAC Performance machine headed to the start line with two reverberating explosive backfires. 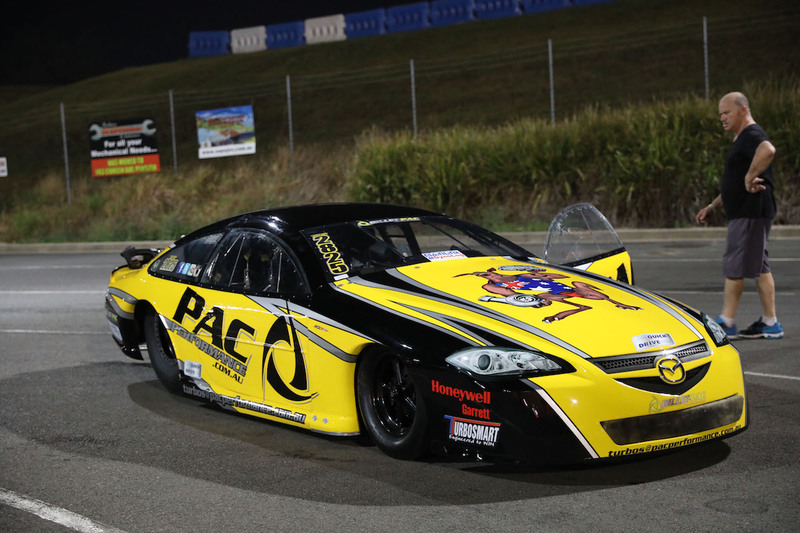 PAC Performance’s works car, the “Mazda 6 SP” is a dedicated drag racing car that has a steel space frame assembly decked out in a precisely calculated aerodynamic carbon fiber body. 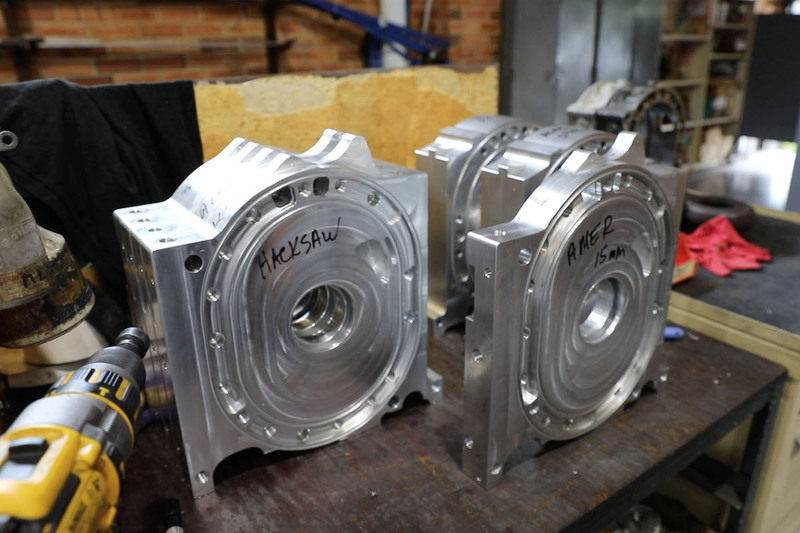 A large diameter Garrett single turbo was mounted onto Rocky’s personally built 20B engine and it generates a mammoth maximum output of 2000hp. It seems that in 2015 Rocky’s brother, George Rehayem, recorded a best time of 6.263 seconds (top speed 223 mph / 356.8km/h). Our correspondent was brimming with excitement waiting to see what such a monster machine was capable of. However, the fates were cruel, and at around 9:30pm the rain began to fall again. 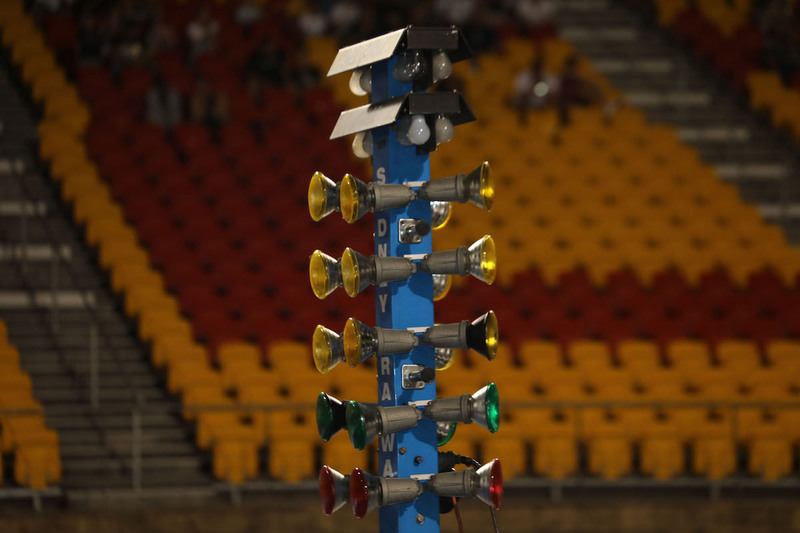 The lights on the Christmas tree (light tower) at the start line were lit up in red to indicate that the course conditions were bad. For a while, the competitors waited for the situation to improve but as soon as the clock showed 10:00pm the organizer announced that the event was cancelled. It was an unfortunate way to finish off the day but Rocky then beckoned our correspondent to jump into the passenger seat as he took the car back to the transporter saying, “Because you came out all this way.” The unique RE exhaust sound was punctuated by the hiss of the air shifter. 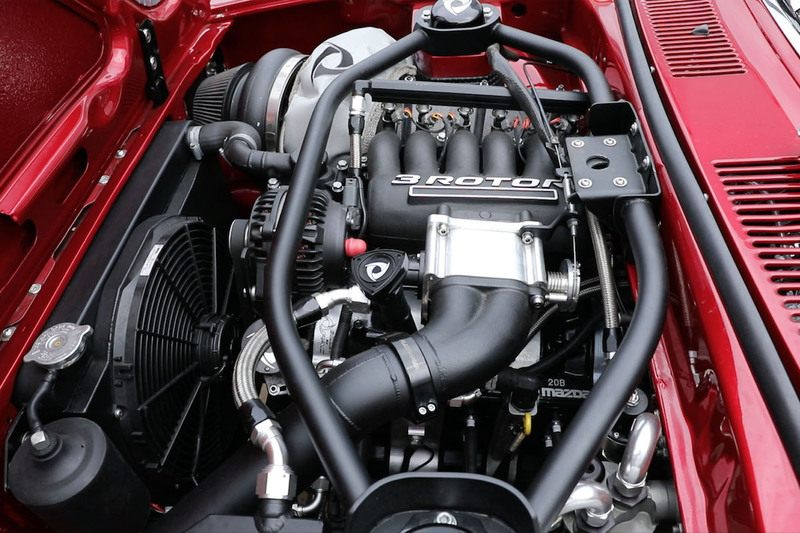 The power of the engine revving up to 10,000rpm before it was switched off was simply mind blowing. We’re incredibly grateful to Rocky for his hospitality and kindness. Our correspondent vowed to come out again to capture the power of the Mazda 6 SP 20B turbo and show it to all the entire MZRacing family.